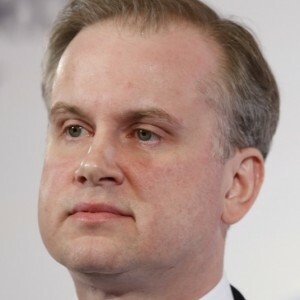 Danylo Lubkivsky is a Ukrainian diplomat and public figure. He joined the Ukrainian diplomatic service in 1998. Since then Mr. Lubkivsky has been a participant of Ukraine’s diplomatic activities at the United Nations Security Council, NATO, EU, and other international organizations. Since January 2015 to April 2016 he was the Foreign Policy Advisor to the Prime Minister of Ukraine. In 2014, Mr. Lubkivsky was appointed the Deputy Foreign Minister of Ukraine. His responsibilities included political analysis and planning, strategic communication, humanitarian cooperation and public diplomacy. Prior to the Revolution of Dignity in Ukraine, Danylo Lubkivsky was known for his civil society activities in 2010-2014. In 2006-2010, he served as the Advisor to the President of Ukraine. In 2004-2006, he was the advisor to the Minister for Foreign Affairs of Ukraine. 2001-2004 – Third, Second, First Secretary of the Permanent Mission of Ukraine to the United Nations, member of Ukraine’s Delegation to the UN Security Council in 2001. 1998-2001 – Attaché, Third, Second Secretary of the Office of the Minister for Foreign Affairs of Ukraine. Danylo Lubkivsky holds a diplomatic rank of Envoy Extraordinary and Plenipotentiary of the first class. Since 2016 he belongs to the Supervisory Board of the Open Ukraine Foundation. He graduated from the Ivan Franko National University of Lviv, Faculty of International Relations. In 2009, he received the Order of Danylo Halytsky. Danylo Lubkivsky was born on the 18th of August, 1975 in Lviv.